Parking will be available for free in 19B (pictured below). 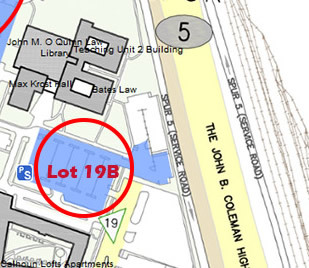 Please be careful to park only in lot 19B. For questions about programs, contact the Director of Continuing Legal Education, Allison Regan, at ahregan@central.uh.edu.